India vs England three ODI Match series will begin from Jan 15th, 2017. The first ODI match would be played at Maharashtra Cricket Association Stadium, Pune. England definitely wants to start with a win, because India defeated England in test series very brutally. England team has the ability put the opposition under pressure with its balanced team. 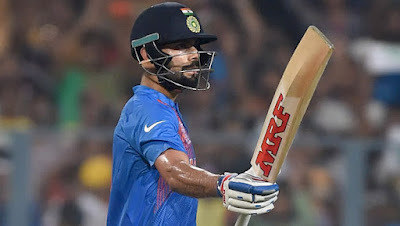 This time Indian team will play in Virat Kohli captaincy, so there are a lot of pressure on new Captain to perform well. England has the good balanced that change the course of the match any moment. India will never underestimate England, because Ben Stokes, James Anderson, and Stuart Broad are the top wicket taker bowlers. India has only Virat Kohli to manage middle order, Yuvraj also come but he has not the spark like before and comes back after three years. So Indian team has weak point in middle order that England knows. 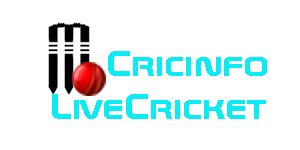 England – England team has all the ability to win this series, there are many big guns like Joe Root, Moin Ali, Ben Stokes, James Anderson and Stuart Broad. the team is looking balanced with batsmen, bowlers, and allrounders. England has an eye on this series to prove their ability to win this series and also want to take the revenge of Test Series defeat. ODI format is very different from test format, Indian team also depend on the Virat Kohli, because India is facing problems regarding opening players. England will definitely come with full preparation to make a good comeback. England team showed its performance in Practice matches its red signal for India team. India – Indian team is flying on the Success of Test Series, all players are giving their 100% to make win India team. Now Indian team will follow captain Kohli because recently MS Dhoni left the captaincy of all format of cricket. Indian sixer king has come in the team after 3 years, yeah we are talking about Mr. Yuvraj Singh who looks pretty confident in last practice match. Yuvraj and Kohli will manage the Middle order with MSD. India has a psychological lead over England team that will really help players to perform well. India vs England first ODI match will be played at Pune on Jan. 15th, 2017. All cricket fans are very excited about this ODI series and already booked tickets for this match. Here is the schedule of this match. India vs England ODI series will start from Jan 15th, 2017. India and England both teams give each other competition, Indian team always been very dangerous at homeland, but the IPL take the all advantage of home ground because all many of England players play IPL and know the condition of Indian pitches. Our prediction can’t depend on the pitches conditions. The Indian team did far better than England in Test Series but Ind ODI England team definitely win the first match because of its bowling. India- MS Dhoni, Rohit Sharma, Virat Kohli, Ajinkya Rahane, Suresh Raina, Manish Pandey, Axar Patel, Hardik Pandya, Jayant Yadav, Jasprit Bumrah, Amit Mishra, Dhawal Kulkarni, Mandeep Singh, Umesh Yadav, Kedar Jadhav. England- Moeen Ali, Jake Ball, Jonny Bairstow, Jos Buttler, Sam Billing, Alex Hales, Liam Dawson, Liam Plunkett, Eoin Morgan, Joe Root, Adil Rashid, Ben Stokes, Jason Roy, Chris Woakes, David Willey.